A little white wine while the grill heats up. A creamy, peachy white wine from Australia. 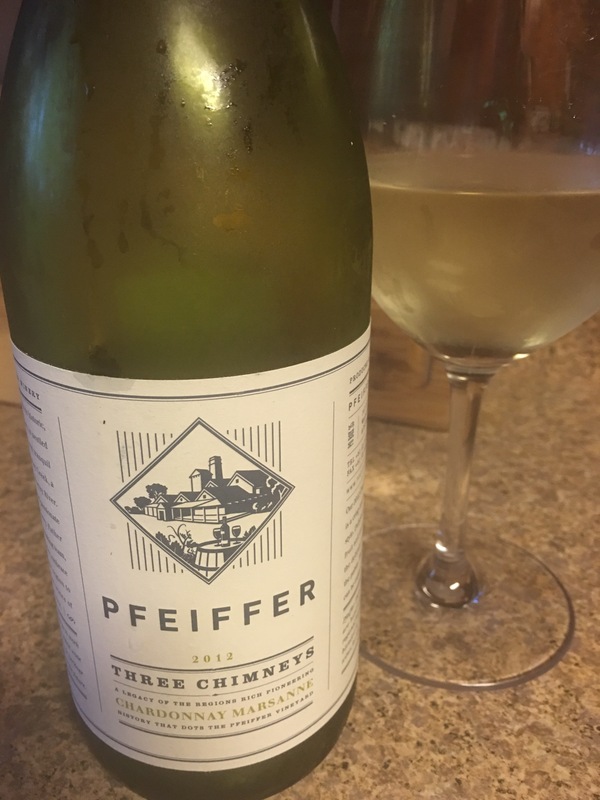 Pfeiffer Three Chimneys Chardonnay-Marsanne 2012. This medium to full bodied white is a pleasure to sip before dinner. Juicy with white peach and honeydew melon. Acidity keeps it fresh, fresh, fresh!! So where does that creaminess come from. When wine is made, yeast is responsible for the converting the sugars in the grape juice into the alcohol that becomes wine. As this happens, yeast cells die off and fall to the bottom of the vessel. In this case, the wine makers keep stirring the “pot” to keep the dead yeast cells, or lees, in contact with the juice. This is known as battonage! Over time, this imparts a creaminess to the wine giving it more body. In this Chardonnay-Marsanne, the lees give the wine a creaminess without using any oak. I am a huge fan of unoaked wines. The Pfeiffer Winery is family owned in Rutherglen, Australia. This estate has been growing grapes for over 100 years in this historic wine area near the Murray River. They make Gamay, fortified wine and Rose. Worth a gander! !